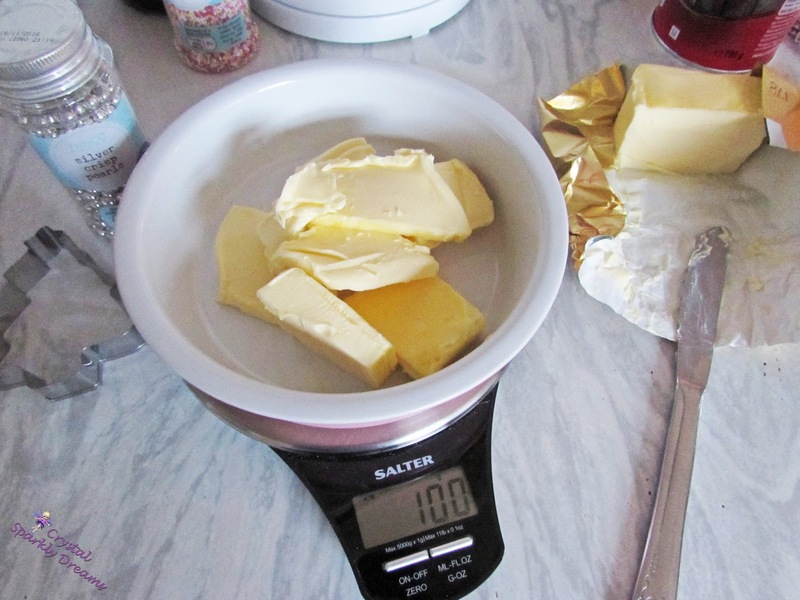 Once you've gathered up your ingredients, measure out the butter (best used at room temperature) and the sugar. 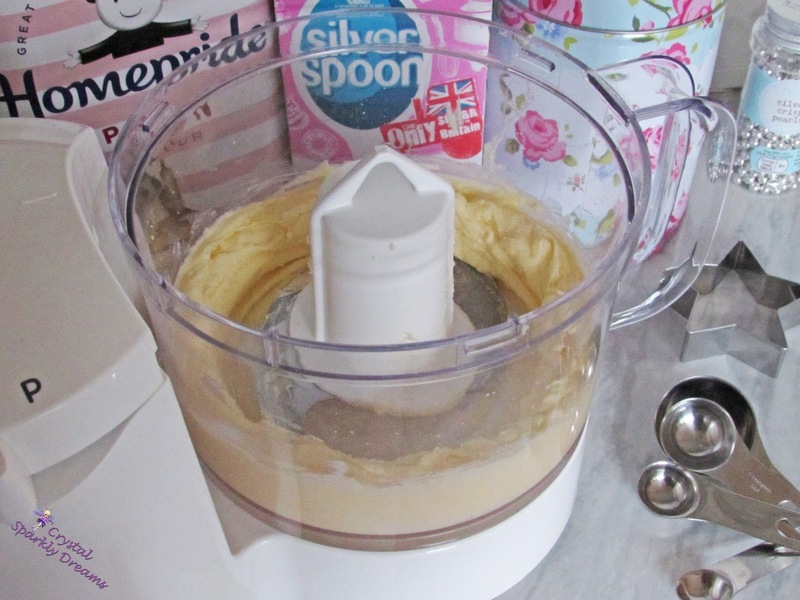 Mix the two together until they're nice and smooth. 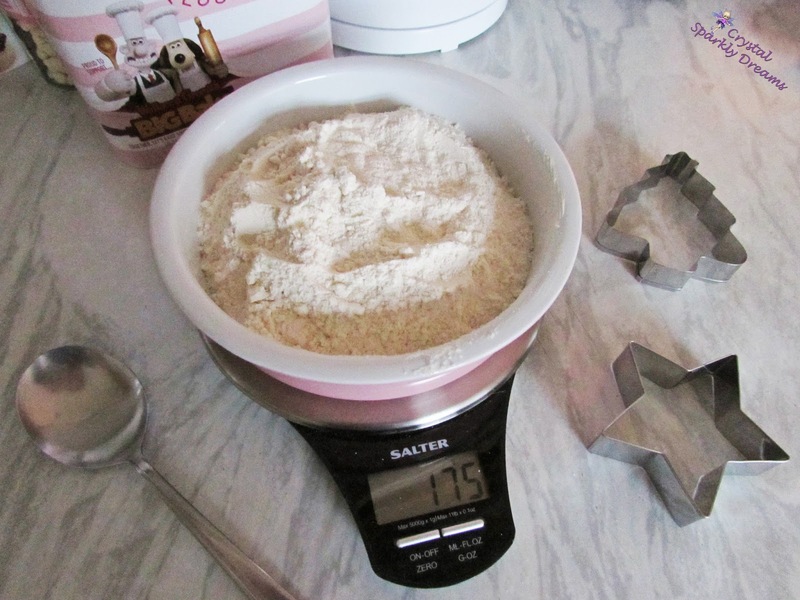 Measure out the flour, add the baking powder and salt, then add that to the sugar/butter mixture, a little at a time and blend together until you have a soft dough. 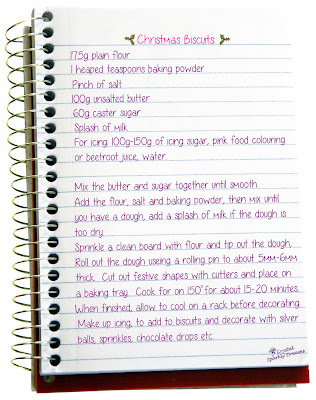 If it seems very crumbly and dry (like mine did), add a splash of milk and mix it in well. Now tip the dough out on to a lightly floured board and roll it nice and evenly with a rolling pin, I would advise using a wooden rolling pin with a little flour on it, I used a glass one and the dough just would not stop sticking to it! 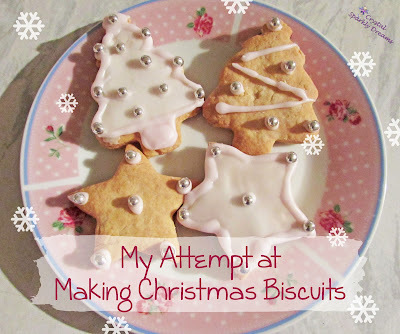 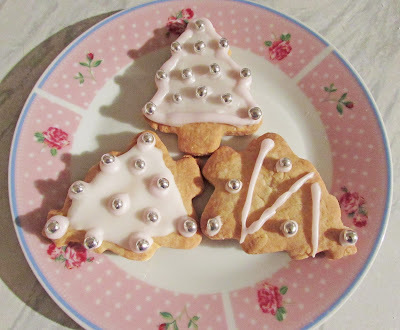 Using your Christmas shaped cutters, cut out as many shapes as you can. I cut out quite a few, re-rolled the spare dough and was then able to cut a good few more! 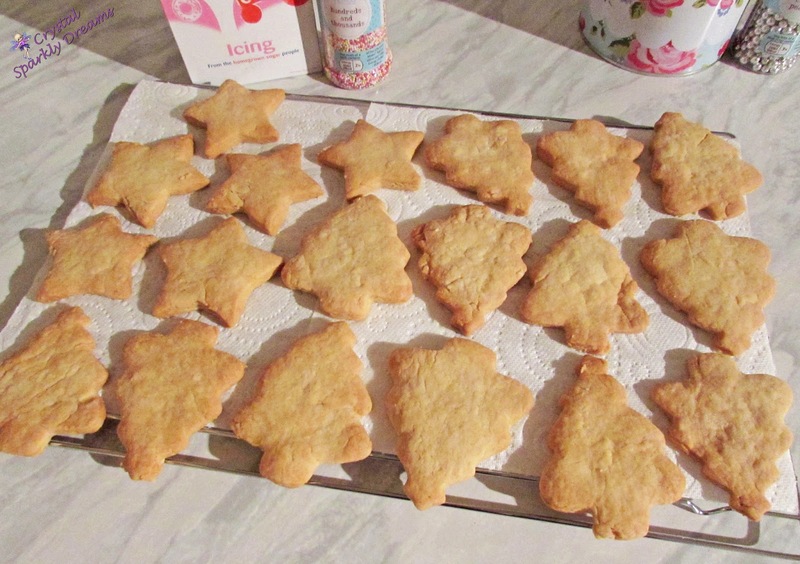 Carefully lift the shapes off your board and lay on a lightly floured baking tray, I had to use 2 trays as I had a nice lot of shapes. Place them in the oven and cook them on 150º for about 15-20 minutes or until golden brown. 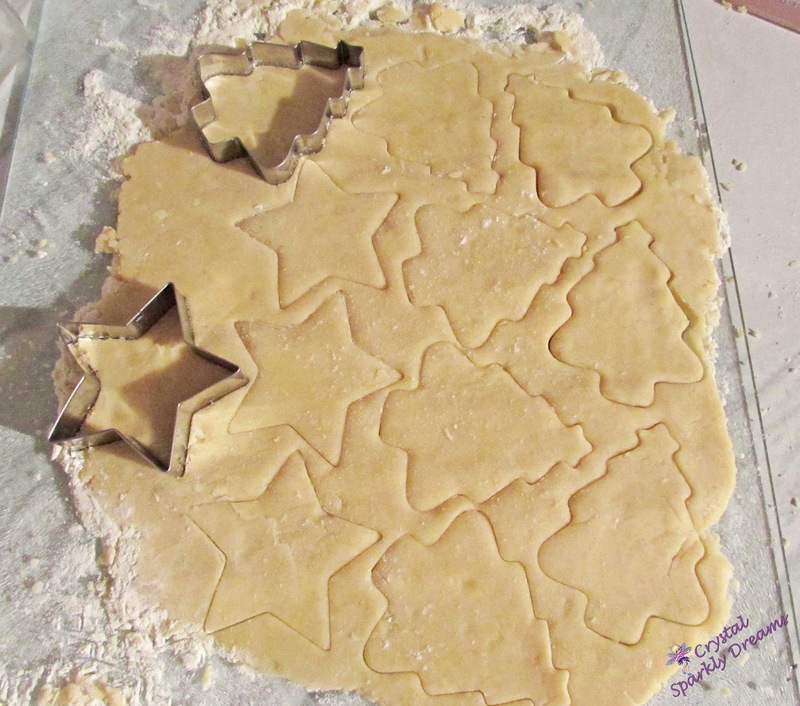 You may need to rotate the trays half way through so they cook evenly. 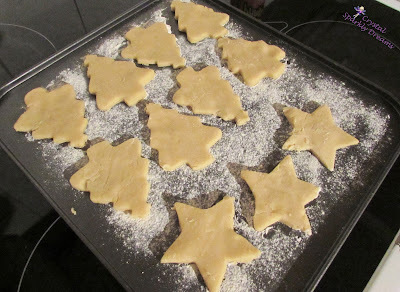 When they're done, lay them all on a wire rack to cool for about 30-45 minutes. 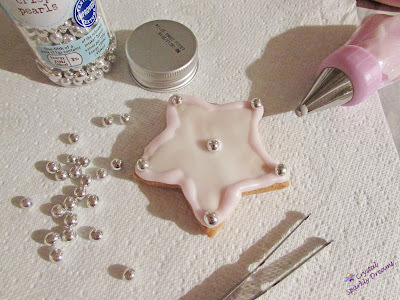 While the biscuits are cooling, it's time to make up the icing. 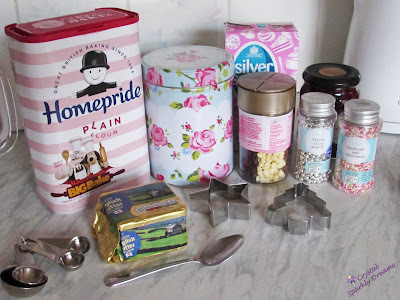 Measure about 100g-150g of icing sugar in to a bowl (I only used 65g and it was definitely not enough), gradually add teaspoonfuls of water and mix really well until you have a smooth paste, don't have it too thick or too runny. 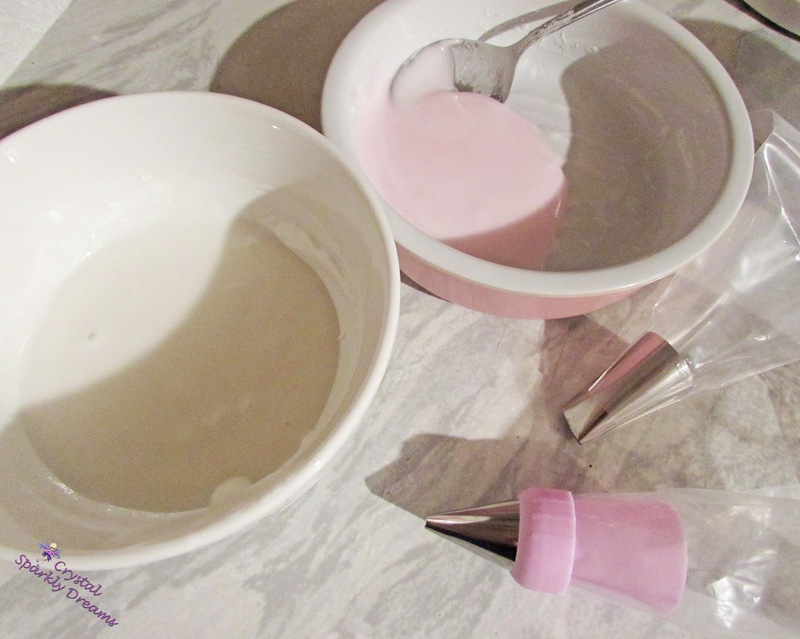 For mine, I separated about a third of the mixture into another bowl and added about 1 teaspoon of beetroot juice to make it pink, although I realized afterwards it wasn't quite enough juice and was far too pale pink! 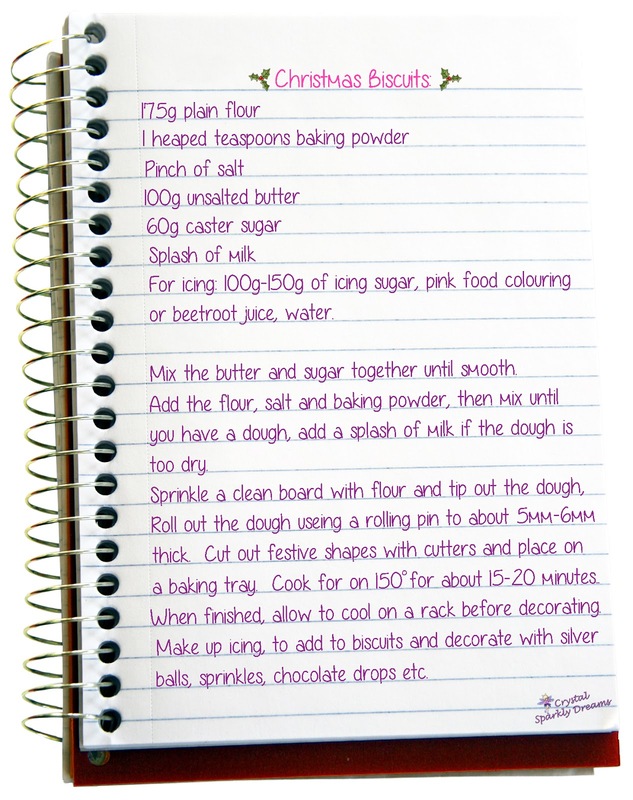 Incidentally, the beetroot juice is a good natural alternative to artificial colours. Finally it's time to decorate them, I added spoonfuls of icing in to two separate piping bags. I used a tiny nozzle for the pink icing and a larger nozzle for the white. 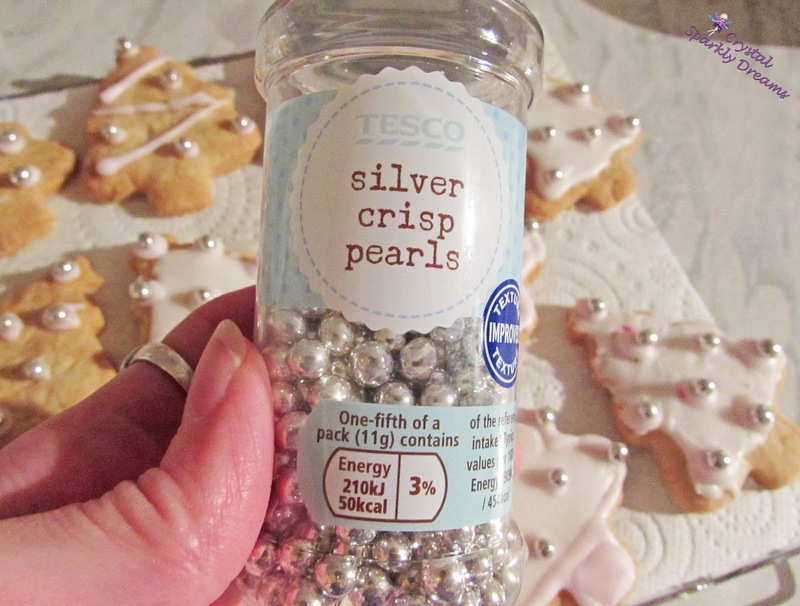 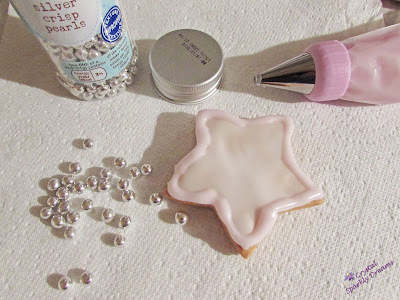 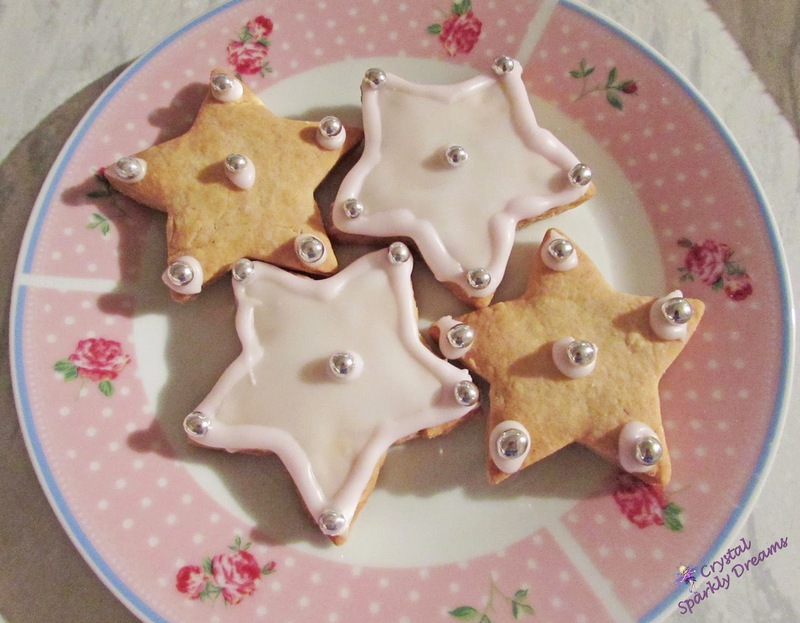 I then added these little silver balls to add some sparkle :-) You could also add sprinkles or chocolate drops and make some really pretty patterns with the icing. I wish I'd have decorated mine a little better but oh well, it was only my first attempt!